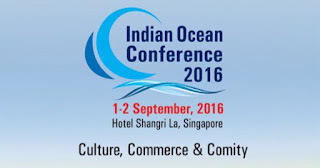 The following article was originally published by the Indian Ocean Conference 2016. The full text can be found here. The Indian Ocean matters today, arguably more than ever. It is a major conduit for international trade, especially energy. Its littoral is vast, densely populated, and comprised of some of the world’s fastest growing regions. The Ocean is also a valuable source of fishing and mineral resources. And yet its governance and security are under constant threat of being undermined, whether by non-state actors such as pirates, smugglers, and terrorists, or by furtive naval competition between states. The Indian Ocean basin is of particular importance for India, as the region’s most populous country and geopolitical keystone. Although India has long been preoccupied by continental considerations, it has recently begun to re-evaluate its priorities. India’s Indian Ocean Region strategy—which in only just taking shape—conforms closely to global priorities for preserving the Ocean as a shared resource: an important channel for trade, a sustainable resource base, and a region secure from heightened military competition, non-state actors, and catastrophic natural disasters. Achieving these objectives will require further investments in capacity, greater transparency and confidence-building measures, and enhanced institutional cooperation. The Indian Ocean is important for three reasons. First, it enjoys a privileged location at the crossroads of global trade, connecting the major engines of the international economy in the Northern Atlantic and Asia-Pacific. This is particularly important in an era in which global shipping has burgeoned. Today, the almost 90,000 vessels in the world’s commercial fleet transport 9.84 billion tonnes per year. This represents an almost four-fold increase in the volume of commercial shipping since 1970. The energy flows through the Indian Ocean are of particular consequence. Some 36 million barrels per day—equivalent to about 40 per cent of the world’s oil supply and 64 per cent of oil trade—travel through the entryways into and out of the Indian Ocean, including the Straits of Malacca and Hormuz and the Bab-el-Mandeb. But the Indian Ocean is more than just a conduit for commerce. The Ocean’s vast drainage basin is important in its own right, home to some two billion people. This creates opportunities, especially given the high rates of economic growth around the Indian Ocean rim, including in India, Bangladesh, Southeast Asia, and Eastern and Southern Africa. However, the densely populated littoral is also vulnerable to natural or environmental disasters. Two of the most devastating natural disasters in recent memory occurred in the Indian Ocean rim: the 2004 tsunami that killed 228,000 people, and Cyclone Nargis that hit Myanmar in 2008 and took 138,300 lives. Finally, the Indian Ocean is rich in natural resources. Forty per cent of the world’s offshore oil production takes place in the Indian Ocean basin. Fishing in the Indian Ocean now accounts for almost 15 per cent of the world’s total and has increased some 13-fold between 1950 and 2010 to 11.5 million tonnes. Aquaculture in the region has also grown 12-fold since 1980. Although global fishing is reaching its natural limitations, the Indian Ocean may be able to sustain increases in production. Mineral resources are equally important, with nodules containing nickel, cobalt, and iron, and massive sulphide deposits of manganese, copper, iron, zinc, silver, and gold present in sizeable quantities on the sea bed. Indian Ocean coastal sediments are also important sources of titanium, zirconium, tin, zinc, and copper. Additionally, various rare earth elements are present, even if their extraction is not always commercially feasible. The challenges of securing the free passage of trade and energy, ensuring the sustainable and equitable exploitation of fishing and mineral resources, and managing humanitarian assistance and disaster relief (HADR) operations would be daunting enough even if the Indian Ocean was not so contested. Beginning in 2005, pirates operating mostly from Somalia began to hijack commercial ships with alarming regularity, with such incidents peaking in 2010. Following global attention and the growing notoriety of Somali piracy, a series of steps were taken by industry and various governments. These included naval operations, transnational coordination, and security measures taken by the shipping industry. These developments resulted in a sharp drop in incidents in 2012. Nonetheless, as late as 2012, maritime piracy was costing the global economy between $5.7 and $6.1 billion, the bulk of which was borne by industry. Non-state actors such as pirates are not the only entities contesting the Indian Ocean. With an eye on securing trade routes, resource rights, and commercial interests, the naval forces of maritime states in the Indian Ocean region and beyond are becoming increasingly active. The Indian Ocean holds particular importance for India, as the littoral’s most populous country. Indeed, for the rest of the Ocean’s littoral states, and even those outside the region, India’s leadership role will be important in determining the strategic future. India is geographically located at the Ocean’s centre, and has over 7,500 kilometres of coastline. “India is at the crossroads of the Indian Ocean,” Prime Minister Narendra Modi declared in a speech in Mauritius in 2015. “The Indian Ocean Region is at the top of our policy priorities.” The Ocean has long been a key determining factor of India’s cultural footprint, with people, religion, goods, and customs spreading from India to Africa, the Middle East, and Southeast Asia and vice-versa. India’s approach after independence was initially defined by the British withdrawal from east of Suez and Prime Minister Indira Gandhi calls for a zone of peace. Only after the late 1990s, under the BJP-led government of Prime Minister Atal Behari Vajpayee and the Congress-led government of Manmohan Singh, did the possibilities of openings in and around the Indian Ocean come to be seriously contemplated. Today, 95 per cent of India’s trade by volume and 68 per cent of trade by value come via the Indian Ocean. Additionally, 3.28 million barrels per day—or nearly 80 per cent of India’s crude oil requirement—is imported by sea via the Indian Ocean. Taking into account India’s offshore oil production and petroleum exports, India’s sea dependence for oil is about 93 per cent, according to the Indian Navy. India is also the fourth-largest importer of liquefied natural gas (LNG), with about 45 per cent coming by sea. 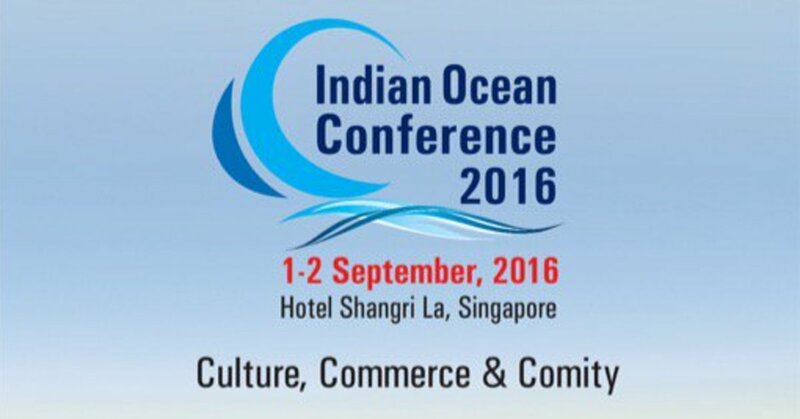 Moreover, India is heavily dependent on the resources of the Indian Ocean. India captured 4.1 million tonnes of fish in 2008, placing it sixth in the world and its fishing and aquaculture industries employ some 14 million people. Fisheries and aquaculture industries are also a major source of exports. India’s maritime exports grew 55 times in volume between 1962 and 2012 and fisheries exports now account for Rs. 16,600 crore or about $2.5 billion. Mineral resource extraction is also important. In 1987, India received exclusive rights to explore the Central Indian Ocean and has since explored four million square miles and established two mining sites. In 2013, the Geological Survey of India acquired a deep sea exploration ship Samudra Ratnakar from South Korea, boosting its survey capabilities. In 2014, the International Seabed Authority issued licenses for the Indian Ocean ridge, opening up new opportunities for deep seabed mining. This region is estimated to have massive reserves of manganese, as well as cobalt, nickel, and copper, all of which are scarce on Indian soil. However, such deep sea exploration will require further investments in remotely operated vehicles and processing facilities. Finally, there is a strong security dimension to India’s engagement with the Indian Ocean, beyond traditional naval considerations. One of the worst terrorist attacks in recent Indian memory—the 2008 assault on Mumbai in which 164 people were killed—was perpetrated by terrorists arriving by sea. Smuggling, illegal fishing, and human trafficking are all also major concerns. The revelations about the A.Q. Khan network have highlighted the need for greater vigilance concerning the proliferation by sea of weapons of mass destruction – and even possible interdiction. And while piracy has declined noticeably in the Indian Ocean since 2013, due in part to the efforts of countries like India, it could once again prove a threat to Indian commerce. India has also been playing a more active role in humanitarian and disaster relief operations. These have often focused on rescuing citizens of India from conflict zones, although India has helped citizens of many other countries in the process. A recent example in the Indian Ocean region is Operation Raahat in Yemen. Indian efforts have also extended to disaster relief in other countries, including assistance to Indonesia and Sri Lanka following the 2004 tsunami, to Myanmar after Cyclone Nargis, to Bangladesh after Cyclone Sidr, and to Sri Lanka after Cyclone Roanu. Relative to other countries in the region, India has advantages in terms of capabilities. These include better maritime domain awareness, and military equipment in the form of transport aircraft, helicopters, and support vessels that can help deliver food, water, and medical supplies. An overview of the importance of the Indian Ocean and India’s priorities indicates a close alignment between Indian and global interests. The Indian Ocean can, as some have argued, be India’s ocean. But that need not come at the expense of others. The shared interests relating to the region are essentially five-fold: (i) preserving freedom of navigation for commercial shipping, (ii) sustainably and equitably harnessing the Indian Ocean’s natural resources, (iii) establishing protocols for enhancing disaster prevention and relief as well as search and rescue operations, (iv) countering piracy, terrorism, smuggling, and illegal weapons proliferation, and (v) managing international naval competition. These overlap with India’s objectives, as outlined by Indian Prime Minister Modi in 2015 under the banner of SAGAR (Security and Growth for All in the Region). “Our goal,” he said, “is to seek a climate of trust and transparency; respect for international maritime rules and norms by all countries; sensitivity to each other`s interests; peaceful resolution of maritime issues; and increase in maritime cooperation.” India’s Indian Ocean policy, he said, would be based on building up India’s own capabilities, helping regional partners with capacity building, collective action, sustainable development, and cooperation with non-Indian Ocean region actors to ensure greater transparency, rule of law, and the peaceful resolution of disputes. He also laid out the objective of integrated maritime security coordination between India, Sri Lanka, the Maldives, Seychelles and Mauritius, initiated in 2011 as a trilateral India-Sri Lanka-Maldives arrangement. India’s security efforts in the Indian Ocean have already begun to take concrete shape with the transfer of the Indian-made patrol vessel Barracuda to Mauritius, the deployment of P-8I aircraft to Seychelles for surveillance of its exclusive economic zone, the agreements to develop connectivity infrastructure on Assumption Island in Seychelles and Agaléga in Mauritius. But questions will need to be answered concerning the adequacy of these institutions for addressing the region’s many challenges, and relatedly more resources should be devoted to these efforts. For all the region’s stakeholders, this will require greater financial outlays, which in turn necessitates a greater appreciation of the importance of the Indian Ocean for collective interests. This is slowly changing. “We recognize that there are other nations around the world with strong interests and stakes in the region,” Prime Minister Modi said in Mauritius in 2015. “India is deeply engaged with them.” By instilling an appreciation of the importance of the maritime domain, key steps can be taken to advance global interests in the Indian Ocean. Jan Hoffmann, “Review of Maritime Transport 2015,” Presentation at Multi-Year Expert Meeting on Transport, Trade Logistics and Trade Facilitation, 16 October 2015; Amit A. Pandya, Rupert Herbert-Burns, and Junko Kobayashi, “Maritime Commerce and Security: The Indian Ocean,” The Henry L. Stimson Center, February 2011, p. 36. “World Oil Transit Chokepoints,” U.S. Energy Information Administration, November 2014. “Indian Ocean Tsunami: Then and Now,” BBC News, 25 December 2014; “Myanmar: Cyclone Nargis 2008 Facts and Figures,” International Federation of the red Cross and Red Crescent Societies, 3 May 2011. World Factbook, Central Intelligence Agency, 2016. David Michel, Halae Fuller, and Lindsay Dolan, “Natural Resources in the Indian Ocean: Fisheries and Minerals,” in David Michel and Russell Sticklor, eds., Indian Ocean Rising: Maritime Security and Policy Challenges (Washington: Stimson Center, 2012), pp.104-105. Jonathan Bellish et al., “The Economic Cost of Somali Piracy,” Working Paper, Oceans Beyond Piracy, One Earth Future Foundation, 2012. “Text of the PM’s Remarks on the Commissioning of Coast Ship Barracuda,” NarendraModi.in, March 12, 2015. Selig Harrison and K. Subrahmanyam, eds., Superpower Rivalry in the Indian Ocean; Indian and American Views (New York: Oxford University Press, 1989). David Scott, “India’s ‘Grand Strategy’ for the Indian Ocean: Mahanian Visions,” Asia Pacific Review, Vol. 13, Issue 2, 2006, pp. 97-129. Annual Report 2015-2016, Ministry of Shipping, Government of India, p. 4. “Indian Maritime Security Strategy,” Indian Navy, Government of India, January 2016, p. 25. “Indian Petroleum and Natural Gas Statistics,” Ministry of Petroleum and Natural Gas, Government of India, 2014-2015, p.10. The State of World Fisheries and Aquaculture (Rome: Food and Agriculture Organization of the United Nations, 2010), p. 13, “About Indian Fisheries,” National Fisheries Development Board, 25 July, 2016. “Export Trends,” Central Institute of Fisheries Technology, Indian Council of Agricultural Research, 2013. Abhijit Singh, “India’s ‘Deep-Sea Mining’ Capability Gets a Fillip,” IDSA Comment, Institute for Defence Studies and Analyses, 1 November, 2013. Richard Mahapatra and Anupam Chakravartty, “Mining at Deep Sea,” Down to Earth, 15 September 2014. Aditi Chatterjee, “Non-Traditional Maritime Security Threats in the Indian Ocean Region,” Maritime Affairs, Vol. 10, Issue 2, 2014, pp. 77-95. William J. Broad, David E. Sanger, and Raymond Bonner, “A Tale of Nuclear Proliferation:How Pakistani Built His Network,” The New York Times, February 12, 2014. Angana Guha Roy, “Indian Navy’s Anti Piracy Operations,” Indian Council of World Affairs, 5 March 2012. Amit Agnihotri, “Yemen Crisis: India Gets Evacuation Request from 26 Countries,” India Today, April 7, 2015; Vijay Sakhuja, “India’s Yemeni Evacuation,” Indian Defence Review, Vol. 30, No. 2, April-June 2015. Sarabjeet Singh Parmar, “Humanitarian Assistance and Disaster Relief (HADR) in India’s National Strategy,” Journal of Defence Studies, Institute for Defence Studies and Analyses, Vol. 6, No. 1, January 2012, pp. 91-101. David Brewster, India’s Ocean: The Story of India’s Bid for Regional Leadership (Abingdon: Routledge, 2014). P.K. Ghosh, “Maritime Security Trilateralism: India, Sri Lanka, and the Maldives,” Strategic Analysis, Vol. 38, No. 3, May 2014, pp. 283-288. C. Raja Mohan, “Modi and the Indian Ocean: Restoring India’s Sphere of Influence,” ISAS Insights No. 277, Institute of South Asian Studies, National University of Singapore, 20 March 2015. Christopher D. Yung, Ross Rustici, Scott Devary, and Jenny Lin, “‘Not an Idea We Have to Shun’: Chinese Overseas Basing Requirements in the 21st Century,” China Strategic Perspectives, No. 7, Institute for National Strategic Studies, National Defense University, October 2014; “Asia Maritime Transparency Initiative,” Center for Strategic and International Studies, 2016. Balakrishna Pisupati, “Redefining SAGAR in Indian Ocean,” The Hindu, 26 May 2015.